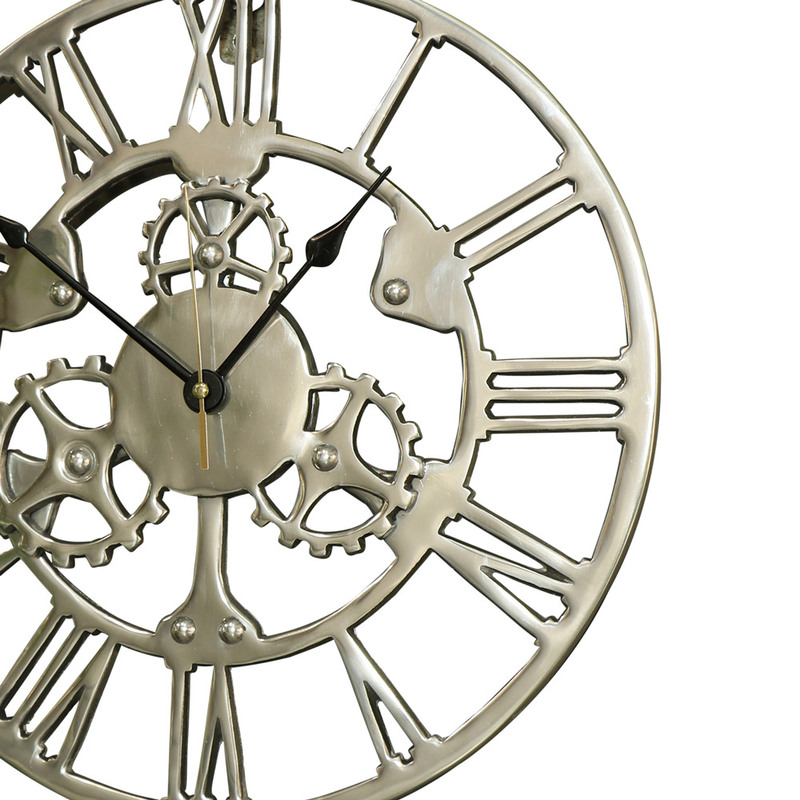 This large silver cog skeleton wall clock has an industrial, quirky design and a shiny silver finish. Ideal wall decor for a industrial, retro, rustic or contemporary home. Perfect for a kitchen, living room, bedroom, hallway or office. Gret for lovers of silver decor or unique details. The silver shine of the clock frame will stand out in any interior. We also have this clock available in a larger size. This will make a great gift idea for Father's Day or a new home. 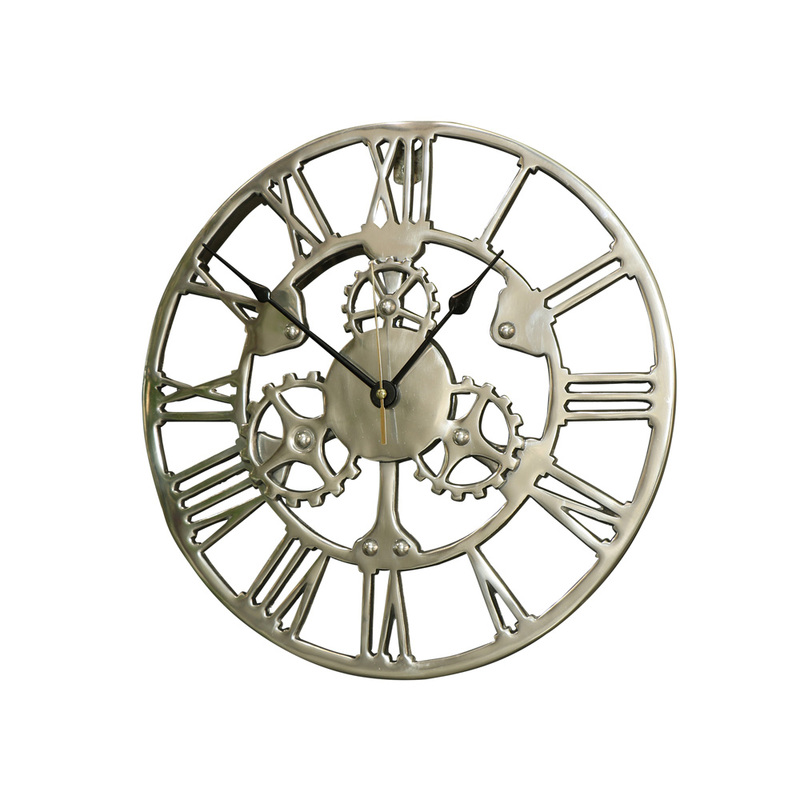 This large silver cog skeleton wall clock has an industrial, quirky design and a shiny silver finish. Ideal wall decor for a industrial, retro, rustic or contemporary home. Perfect for a kitchen, living room, bedroom, hallway or office. Gret for lovers of silver decor or unique details. The silver shine of the clock frame will stand out in any interior. We also have this clock available in a larger size. This will make a great gift idea for Father's Day or a new home.